First sketches. 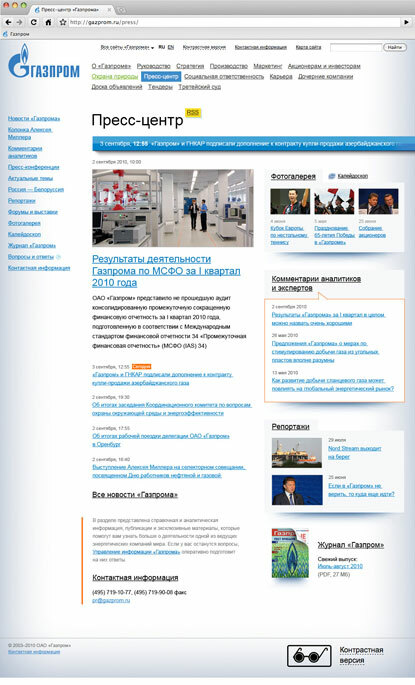 Putting the latest news and blocks with the hottest sections on one page. Highlighting key points. Some materials are supposed to attract readers’ attention. Determining the main news format. 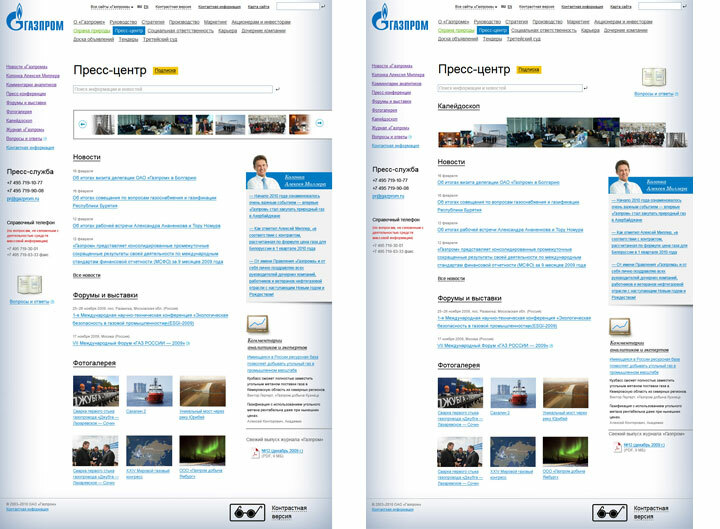 Gazprom website is constantly updated. 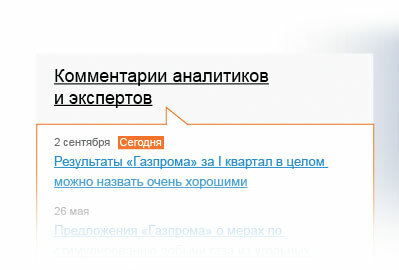 New articles, photos and analysts’ comments appear. We need to ensure that the freshest materials get the center stage. Coming to the idea of floating blocks in the right column. Now the blocks are not fixed; their sequence is determined by the date of the latest update of the block’s content. 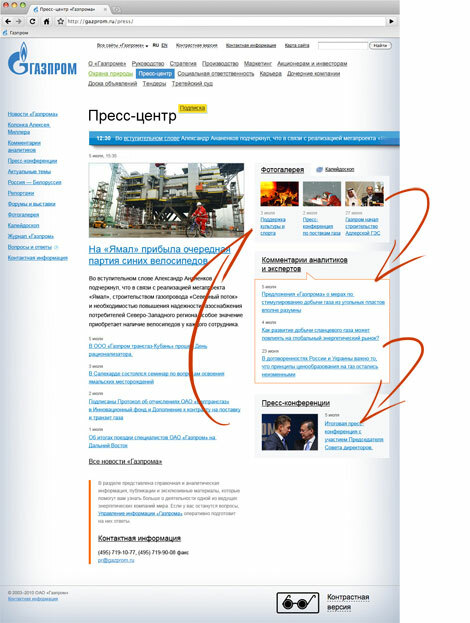 For example, when a new article is uploaded the block with articles moves to the top of the page. Designing a label for materials published today. Adding shadows to make blocks stand out. .
Finalizing the page. Getting images to expand with the window. Working on the news ticker.